This Riesling wine grew in one of our warmest locations. The wine has a delicious, elegant fruitiness with fine flavour of peach combined with decent sweetness. 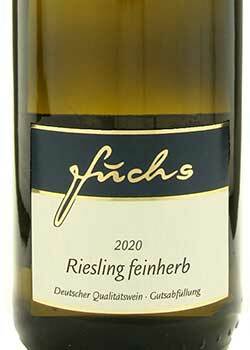 Riesling «S» off-dry is an ideal und universal companion to poultry, meat, seafood, and cheese, if a not too dry wine is desired. Especially delicious with Asian cuisine.